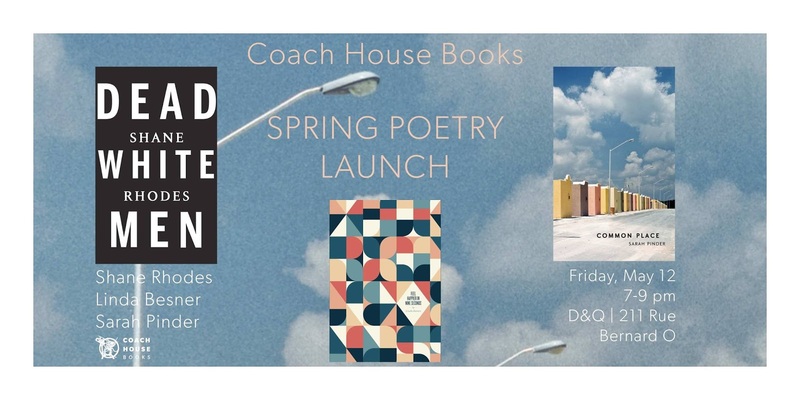 Join us on Friday, May 12th at 7:00 pm for the launch of Coach House Books' spring poetry lineup! Shane Rhodes will read from his vital collection of poetry, DEAD WHITE MEN, which uses texts from history's most notorious colonizers to turns ideas of exploration, discovery, finding and keeping back upon themselves. Linda Besner will read from FEEL HAPPIER IN NINE SECONDS, her new collection built around a series of brilliantly illuminated poems patterned on a scientific study of synaesthesia and Fisher Price refrigerator magnets.